CNN’s Campbell Brown laid the smackdown on McCain spokesman Tucker Bounds yesterday when she asked him whether the Republican senator’s campaign is exercising a double standard on foreign-policy experience. “BROWN: So I don’t have to tell you that there’s a feeling out there by some that you’re not holding your VP pick to your own standard — the standard that you defined. So explain to us why you think Governor Palin is ready to be commander-in-chief. Brown tried again to Bounds to have directly answer the question, but he then went on to mention Sen. Barack Obama’s lack of experience. 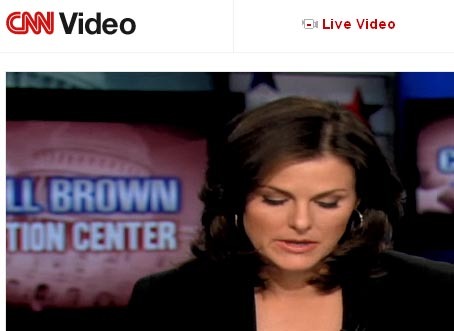 Perhaps seeing an opportunity to make an inroad, Brown the sought to question Bounds on Palin’s guard experience. “BROWN: Can you just tell me one decision that she made as commander-in-chief of the Alaska National Guard, just one. “BOUNDS: Yes. She has made — any decision she has made as the commander of the National Guard that’s deployed overseas is more of a decision than Barack Obama has been making as he’s been running for president for the last two years. “BROWN: Tell me. Tell me what it is. Give me an example of one of those decisions. I’m just curious. Just one decision she made in her capacity as commander-in-chief of the National Guard. “BOUNDS: Campbell, certainly — Campbell, certainly, you don’t mean to belittle every experience, every judgment that she makes as commander of the National Guard. Readers: What do you think? Is the McCain campaign holding Obama to a different standard than Palin? Deborah Creighton Skinner is the editorial director for BlackEnterprise.com.